Now I'm not saying anyone should actually feel bad for Microsoft or anything like that, but the reaction to its new operating system, Vista, must be more than a little frustrating to the software giant. 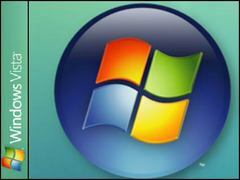 The old version, XP, is still performing well, and retailers have even requested that Microsoft keep it bundled in new computers for longer than originally planned. On top of that, an independent firm says that a planned upgrade to Vista still doesn't perform as quickly as the latest version of XP. Oh, and then there are those Apple ads. I feel bad ABOUT Microsoft, not FOR Microsoft. They push out buggy software and apply patches after the fact. But at least they keep tech support jobs secure. Let me first say, I am a Mac user. Let me also say, that I have installed Leopard. That said, upgrades are by nature difficult transitions. The more the upgrade promises, of course the more horsepower the computers will require in order to run all the features as smoothly as possible. Even Macs suffer this, as I have yet to buy one of the newer Intel processor Macs, and Leopard is VERY sluggish on my best machine (Dual 1.8GHZ G4, 2GB RAM). Of course, everything WORKS, but just very slowly in some cases. Vista need to be updated and modify to come in place of XP. Could there be a better way to deal with this subject? My personal opinion says NO. Wow…. You seem to be skeptical about your way of writing things but I am confident it is the best way to write on this topic. Claps!! !